You might’ve heard how just a week or so ago Bodog changed its software so as to make it more difficult for tracking sites and those interested in “datamining” to do their thing. The site removed full tables from being listed in the lobby, thus making it harder to see at a glance what’s happening on the site. Other sites have it set up as an optional feature to remove full tables from the lobby view, but now on Bodog you can’t see ’em even if you wanted to. As I understand it, they’ve also gotten rid of waitlists, too. I report this somewhat second-handedly, as I haven’t really been on the Bodog site for quite some time. I used to play on it regularly, but long ago pulled my money from the site. I sometimes wish now that I’d left a pittance on there with which to mess around. But to be honest, when I thought of the possible futures for the sites on which I was then playing -- PokerStars, Full Tilt Poker, and Bodog -- for a long time it seemed like the latter was the most likely to be the most risky on which to leave money thanks to its inclusion of sports betting. In any case, I’ve heard the dataminers are starting to find ways to work around this new obstacle, but I’m not up on the specifics. Meanwhile PokerScout, the site that provides traffic info on all the online sites, found itself momentarily thwarted by Bodog’s new system and thus unable to track numbers. 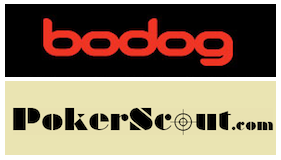 A story on PokerFuse from last week described the changes at Bodog as well as how they were affecting PokerScout’s ability to track Bodog’s traffic. It should be noted that articles appearing on Ayre’s site are occasionally of dubious origin and/or intention, many of them existing as fairly obvious SEO-grabs presented under the superficial auspices of news reports or editorials. Thus do I always find myself reading articles there with a measure of skepticism, knowing that they are often necessarily self-interested and/or biased in one way or another. This article stands out, however, as it not only comments (negatively) on PokerScout’s efforts to track Bodog’s traffic, but flat out accuses PokerScout of trying to extort money from Bodog. When making the change last week, Bodog explicitly referred (in another article) to its desire to stop PokerScout from keeping count of its players (which, it ought to be noted, is markedly different from the full-fledged datamining performed by other sites). In “The Death of the Poker Volume Tracking Model,” Bodog argued that since PokerScout “serve[d] no beneficial purpose to the poker industry other than to feed the sharks” with its data, Bodog wanted to help the non-sharks by keeping PokerScout from filing its reports. As mentioned, PokerScout was nonetheless able to keep on tracking Bodog’s traffic, or at least that is what they claimed. As PokerScout explained (in an article posted yesterday), they are still able to estimate traffic at Bodog and thus are keeping the site listed. Also noted there was the fact that Bodog was the only online poker site that had ever asked PokerScout not to track their traffic, a request with which PokerScout decided not to comply. In today’s missive, Bodog notes that in fact there were two reasons why they had earlier asked to be removed from PokerScout’s listings. To be honest, I understand the second reason a lot more than I do the first. Sounds like Bodog would like to grow, but would also like for no one to notice they are growing, thus perhaps helping them continue evade being targeted by the U.S. Department of Justice. Beatty is being more than a little disingenuous here, I’d say. Stars, Full Tilt, and UB/AP had a pretty high profile even without PokerScout’s reports. Indeed, I think it would have been a pretty simple matter for anyone to conclude those sites were the four biggest worldwide back in April -- and by far the biggest U.S.-facing sites -- even if PokerScout didn’t exist. In any case, then comes the bombshell from Beatty when he claims PokerScout said they would remove Bodog from the listings in return for “a seven figure extortion payment” which Bodog ultimately refused to pay. Like I say, sorta curious.